Firingline was founded by a firearms enthusiast who has spent a lifetime on the range and in the field as an avid hunter and competitive shooter. Sheldon along with a group of like-minded friends have been involved in many areas of the firearms industry from hunting, competitive shooting, Firearms safety training and volunteered for many years to manage the local shooting range. From that start they collectively teamed up and Firingline Consulting Ltd. was created. Our list of students has grown and now so has Firingline!. Please read on. Through history, experience, & observation in the firearms field a fundamental & troubling flaw was revealed. The access to local basic firearms training & more importantly the issue of poor quality firearms training throughout the industry & in particular, the Fort McMurray area which happens to be our home. This deficiency was clearly apparent on the range & in the field throughout all classes of firearms ownership. We clearly understood how & why so it became our goal to correct this substandard training issue & raise the firearms safety training standard & get people started off right!. Thankfully as of 2015 there is no provision for persons to challenge the Firearms safety course any longer as it was widely abused by cash grab instructors that had their bank account in mind not our safety. However Firingline has never done challenges, We have always offered the complete course only. Your safety has ALWAYS been our main goal & our core value. We have always believed that putting your training first is the right thing to do instead of putting our bank account first. Doing it any other way is just plain WRONG & that's how it was done until Firingline was created. Now the standards have changed & YOU get the benefit from the highest firearms safety training standard in the industry. 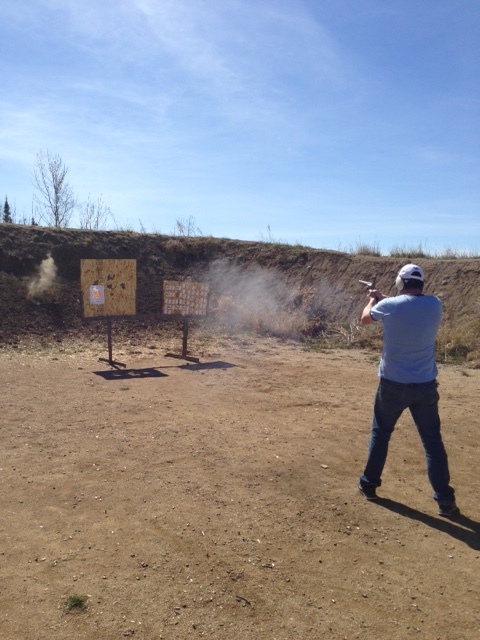 To provide top quality firearms safety training in Fort McMurray & the surrounding area. Also to provide continuous support to our clients & all firearms owners in all aspects relating to firearms ownership. From Firearms safety training, private coaching / lessons anything firearms related & beyond! Firingline was not stopping there, This is just where we started!. We are now expanding to carry a full line of shooting products. Sales of ammunition, shooting, reloading, maintenance supplies & beyond. We carry products such as ammunition, cleaning & maintenance supplies. However that's not all. We are also carrying a full line of reloading equipment. We carry reloading equipment from Lee precision, Hodgdon, Winchester & IMR reloading powders. Please view our products page & feel free to request any item as we have access to thousands of items from our central Alberta warehouse. Thanks to everyone who have made Firingline number 1 in the field of Firearms safety training & allowing us to expand to better serve all the firearms owners in the area with all your shooting needs. We would also be happy to answer any firearms questions you may have. Please feel free to contact us anytime & we will be happy to assist you. Join the Firingline Consulting Ltd client list today!. A BIG Thanks to y'all for making Firingline a success. After all it's simple...Our success started with your success first! Our Firingline students / clients. Thank you!